Who will define your balance? It is a harsh reality, but in the end we are responsible for finding our own work life balance. Bad news and good news. Today as I scramble to finish five urgent projects I am reminded that no company policies will find more time in my day for balance. On the other hand, a TEDtalk I heard a few years ago helped me better understand what I need to feel more in balance and steps I could take to be my own pilot. As we’ve discussed this month, encouraging a healthy mix of attention to work and other areas of life is a key leadership skill. While “balance” means different things to different people, paying attention to the subject is critical for personal and organizational health. Here are a couple of articles from Harvard Business Review that provided useful tips. On the flip side, Help Your Overwhelmed, Stressed-Out Team provided specific strategies to help leaders support their staff. As leaders, we set the norms for ourselves and those we work with. How are you supporting balance for yourself and your staff? Over a decade ago, I was coordinating a work/life program for faculty and staff at the University of Minnesota and wrote an article about the importance of taking your vacation. Amazingly, not many of the statistics on overwork and vacation use have changed since then. Jobs can be greedy things, gobbling up all the time we give them. Nearly half (46 percent) of U.S. employees feel overworked, according to the Families and Work Institute. That overwork has serious implications for safety in the workplace, job performance, retention, and health care costs. According to a recent survey conducted by research firm Harris Interactive, only 51% of employees use their eligible vacation time and paid time off. Even more concerning, their findings showed that 61% of Americans work while they’re on vacation, despite complaints from family members. 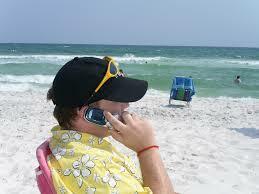 And one-in-four reported being contacted by a colleague or boss about a work-related matter while taking time off. Vacations are an important rest, recovery, and renewal strategy for creating work/life balance–especially in our fast-paced, 24/7 world. They provide an opportunity to recharge our batteries, so that we can return to work refreshed. 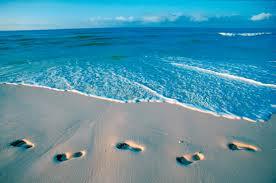 As leaders, it’s not only an important strategy to take your vacation, but to model that behavior for those you lead. I still recall a conversation with a former college president from early in my career. She had served as director of the Office for Women at the American Council on Education and as an executive coach to other senior leaders. When I asked her what one piece of advice she had to share with leaders about work/life balance, she said that taking time off was absolutely critical for leaders to avoid burnout. Her personal strategy to avoid burnout was taking one week off every three months. And she advocated that every leader find something outside of work that they were passionate about and that fed their soul. For her, it was playing piano that helped her to regain some sense of work/life balance. Do you have something outside of work that re-energizes you? What rest, recovery, and renewal strategies work best for you? Last week I discovered that my children’s spring breaks fall in the same week, which is a mini-miracle since one is in college a few hours away and the other one is in our local high school. If the stars align and my husband can get the week off, we might just be able to squeeze in a short vacation this spring to visit my sister and her family in Florida. The chance to reconnect with extended family and the prospect of even a few hours on a sandy beach sounds like rest and renewal to me. I’ll let you know how that goes. In the meantime, I encourage you to take your vacation, please. Technology is both one of the best tools and one of the worst problems for managing work and life commitments. 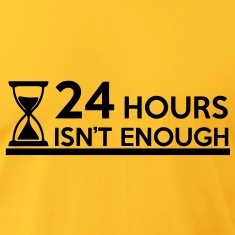 Being connected to work 24/7 means we can check in on projects whenever and wherever we want. It also means those projects follow us, even during off hours. At first these may look like personal issues, but Kibler believes that they become toxic, eventually leading to disengagement and loss of the very passion that caused people to work so hard in the first place. He cites the example of Mohamed El-Erian, who resigned from a high-profile investment officer position due to executive brownout. As El-Erian explains in this interview, his work-life balance had gotten “way out of whack” and he realized he had to do something when his daughter presented him with a 22-item list of important events he had missed in her life. As leaders, how can we address these problems for ourselves and our staff? One key is to recognize the problem and how we might be contributing to it. Does the workplace culture encourage down time, or is it common for people to work on nights and weekends? Are people encouraged to take vacations – and disconnect during them – or do they sometimes feel guilty for missing work? The tone we set and the behavior we model will make a difference. Breathe – there’s an app for that! I was having lunch with a leader last week. We were discussing the chaotic environment and demands that leaders in higher education face today and we agreed that finding more hours in the day would be a great solution. Great idea but not very realistic, sad to say. I shared that I had found some studies focusing on applying mindfulness in the work setting as a way to help with work-life balance. 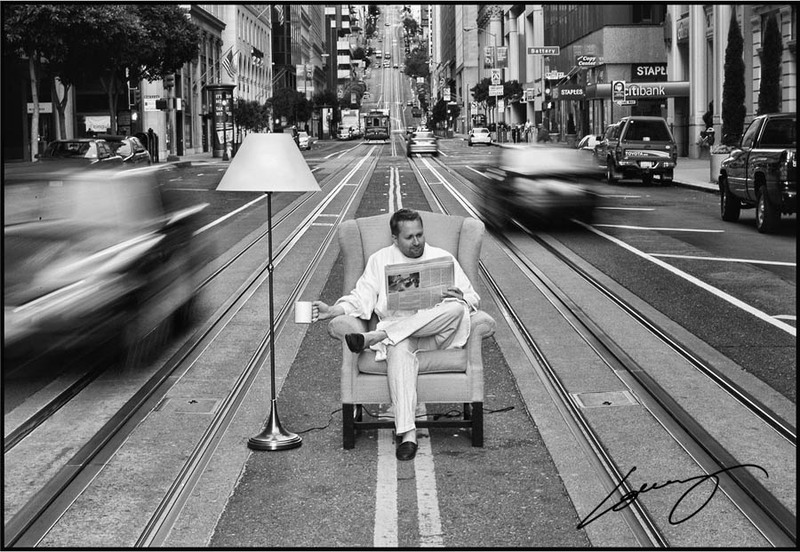 Jon Kabat-Zinn, a scientist and writer, has stated that “meditation is an act of sanity” in today’s world. Since we can’t create more time, mindfulness can help us be more aware in the moment and find our own equilibrium. At this point my colleague started to laugh and said, “I just found an app for that.” He has started to use Headspace , a free app for android and iOS devices that introduces mindfulness in short bursts that are easy to try and can be done anywhere. 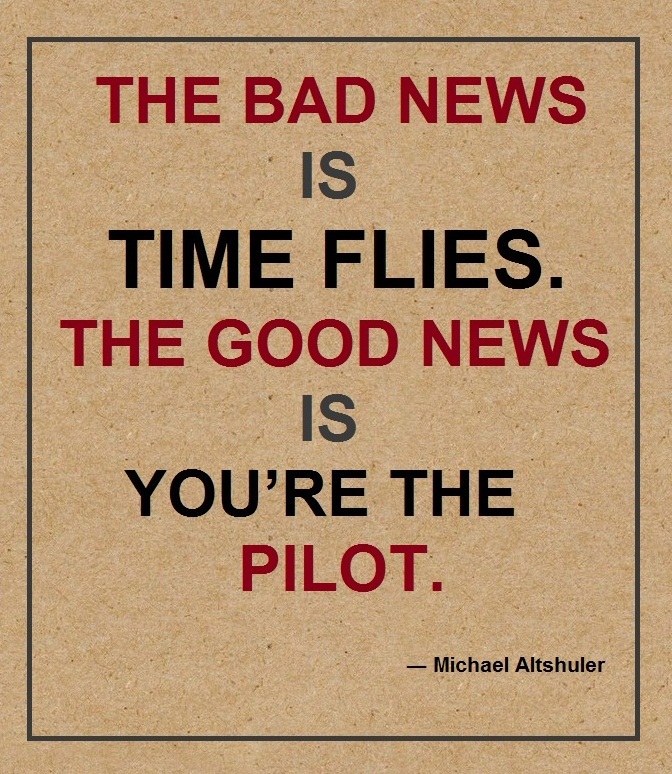 Perfect for busy leaders. The app guides you through a series of 10 minute learning events designed to help you establish a mindfulness practice that works for you. There are many o ptions for learning more about mindfulness. Here is a link to a number of apps. I wanted to share one example that a leader I know is using to help manage the stress and demands of leading in chaotic times. “Life’s most persistent and urgent question is: ‘What are you doing for others? 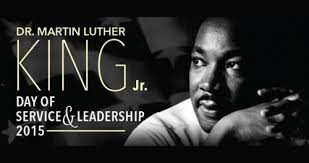 '” – Martin Luther King Jr.
Part of balancing work and life is determining how we fit in the multiple commitments we make to ourselves, our families, our workplaces, and our communities. You might know that the President has created a national call to service initiative, called: United We Serve , which calls for Americans from all walks of life to work together to provide solutions to our most pressing national problems. There are many opportunities to participate in community service on MLK day. It is a chance to start the year off right by making an impact in your community. Here is a handy link to Toolkits to plan for the Day of Service today, during the next year, or in future years. How do you fit community service into the many commitments you balance? As leaders, I think we all know intuitively that we need to pay attention to our own health and wellness in order to be at the top of our game. However, making healthy choices, whether it involves eating well, exercising, or getting adequate sleep, can take a back seat to the busy work and life demands of a leader. 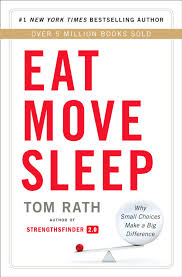 For leaders looking for some good ideas to improve their well being, I can recommend Tom Rath’s recent book Eat Move Sleep. You may recognize Tom as the grandson of the founder of StrengthsFinder and a bestselling author and leadership expert in his own right. What you may not know is that Tom has been quietly managing a serious illness for more than 20 years. I was surprised to hear him speak last year at a national conference and tell about his long battle with cancer and his resulting quest to keep himself alive through nutrition, exercise, and rest. His new book is a result of wide range of information he has collected on the impact of eating, moving, and sleeping. His main point is that small choices can lead to big changes, especially as you make good decisions automatic by building them into habits. I’ve experienced the small choices/big changes effect first hand. Over the last year, while trying to manage the effects of chronic facial pain, I made a couple of small choices to improve my overall sense of wellbeing. I decided to exercise more in hopes of increasing endorphins to manage my pain. More specifically, I challenged myself to exercise a minimum of 30 minutes per day. To make this happen, I also committed to utilizing the workout facility in our office building over my lunch hour and I bought a used stationary bike at home for days when I can’t get outside to exercise. Those choices meant no longer scheduling lunch meetings when I could avoid it and scheduling time on my calendar for exercise either at work or at home. It has now become automatic for me and I’m seeing some additional health benefits as a result, like stress reduction and maintaining a healthy weight. What small choices might you consider to make big changes in your well being?